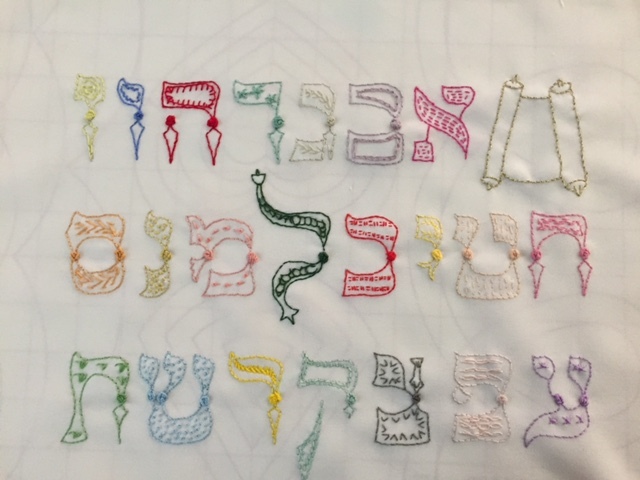 Not exactly a traditional sampler, but this aleph-bet presentation is embroidered in a different color and different stitch pattern for each of the twenty letters. 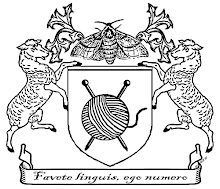 Yes, it took a little mental stretching to come up with twenty two different easy to produce, small scale filling stitches, and no, not all of them came out great. Still, the piece is done, my shoulder is in a disaster state now so I can't imagine what I'll do with my time next. I can't even hold a book. Incidentally I started it last Thursday. Oh, and the strange lines you can see underneath aren't lines on the fabric, they're just markings on the blocking board I used.